There has been 2 big revolutions in the world of blackjack and other popular casino games. The first one was when online blackjack and online gambling became available. Historically, one had to visit a casino to play blackjack for real money, but now, thanks to the magic of the internet, the casino came to you, right into your home, on your home computer. The next big leap happened when online casinos went mobile. Now, rather than being limited to playing at home on your computer, you can bring all the fun of the game with you wherever you go, and play right on your Android phone or tablet. The Android platform dominates the mobile device market, and about three quarters of all devices now use the Android operating system, so while the online casino industry may have been a little slow to roll out apps for certain platforms, such as Windows or Blackberry, the Android market is the 800 pound gorilla here. So Android users can be assured of having access to the latest and greatest in software and access to the world’s best online casinos, and this is certainly the case in practice. There are some games, online poker for instance, that may involve compromises moving from a large screen home computer monitor to something as small as a phone screen. For instance, depending on the size of the screen on your device, you may only be able to play one poker table at a time, instead of the several tables that some players like to play, and even that might involve this table being displayed smaller than you prefer. However, the ability to play your favorite blackjack games anytime and anywhere is huge, and even poker players gladly trade the smaller screen size for the ability to play on the go. With online blackjack though, even the smallest smartphone’s screen is big enough to be able to fully enjoy the experience, so there’s no tradeoff really as far as the practicality of the matter goes anyway. Smartwatch blackjack which recently became available prove the point. A lot of people even choose playing blackjack on their phone at home on Wi-Fi rather than logging into a blackjack site on their computer. You just have to pick up your phone, launch the app and start playing, without being tethered to your desk. This allows you to play from anywhere inside the house or even out on the patio, enjoying both nature and this wonderfully entertaining way to gamble. Not to mention, that using your phone is always socially acceptable. On the contrary, pulling your laptop while hosting your wife’s/husband’s friends over and you will find yourself sleeping on the couch the next few days. There are two main ways that Android devices connect to the internet, which are through Wi-Fi and through mobile data transmission. All Android devices can connect to Wi-Fi, you just need a Wi-Fi connection and set them up to log into it. A lot of home internet packages these days come with a Wi-Fi enabled modem, essentially broadcasting the internet throughout your home, which your Android phone or tablet can access. These home Wi-Fi connections are secured, meaning that one requires a login and password to access it, as opposed to public Wi-Fi which anyone can log into. 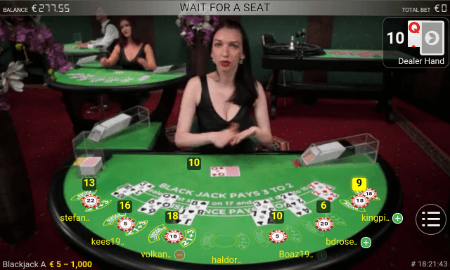 So logging in to a secured connection is the way to go, and with public Wi-Fi, certain sensitive transactions aren’t recommended, and more caution is advised when playing online blackjack as well. The second way is to use your data connection, which is also secure. All Android smartphones and some tablets have this. You also need a data plan with your carrier, where you are given a certain amount of data you can use each month. 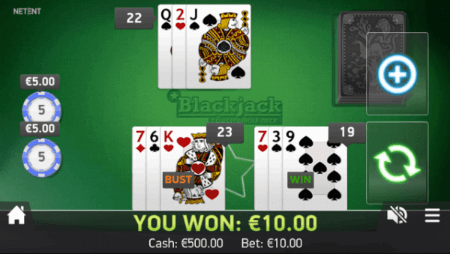 With a data connection though, you can play blackjack on your Android device wherever you want, as long as you are within your provider’s data coverage area, which generally means just about anywhere. Unless you are in a very remote location, data will be available to you. Depending on your plan, you will need to monitor the amount of data that you are using, and you may have to upgrade your plan to include more data if you find it necessary. As far as the legality of Android blackjack goes, it is the same as playing on a computer, it’s all playing on the internet. Traditionally, specific software has been written for Android devices to play blackjack and other casino games at online casinos, the same way that apps are written for just about everything else these days. So users would go to the site on their Android phone or tablet and download the app, and then open it and start playing. This works similarly to online casinos having casino software you would download on your home computer. Computers have offered a no download experience for years though, and the technology for that has really improved of late, especially with the new browser code that is out now. These advancements have really benefited mobile users as well, as more and more online casinos now offer no download play for players on Android devices, where you just go to the site in your browser and start playing, and the experience is similar to using an app. Mobile casinos still tend to offer a more limited selection of casino games vs. regular online version, less number of slot games for instance, and even less selection with table games, but blackjack isn’t one they would leave off, so this isn’t a concern at all for blackjack players. If you want to play mobile blackjack and your favorite site is one of the few that doesn’t offer it, there are plenty of other choices. Live dealer blackjack is an area that still needs to be developed more, as only about half of mobile casinos have it. Live dealer blackjack does use up a lot more data though so if you are using data for this, you will need a lot of it, although if you are playing on Wi-Fi this isn’t really a concern. So we’ve come a very long way lately, from having to travel to casinos to having them right in our home, to now having them right in your pocket on our Android devices. For blackjack lovers, that’s as good as it gets.